President Viktor Yanukovych left the chaotic streets of Kiev for planned trips to China and Russia, in search of a fix for Ukraine’s near bankrupt economy, which has left him walking a narrow line between European and Russian trade deals. 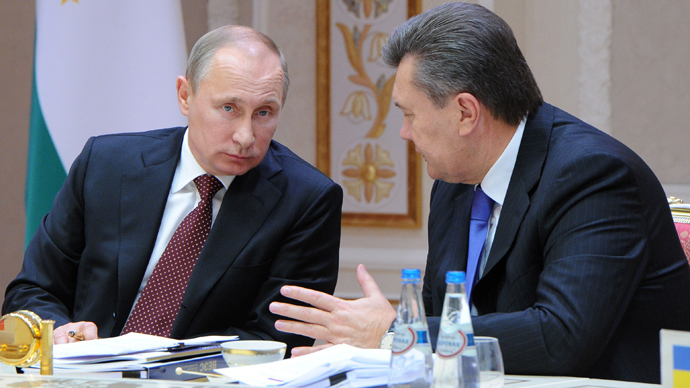 Political instability could push Ukraine’s economy to the brink of default. As thousands of protestors fill the capital Yanukovych said the trip is very “important” as he is looking east to patch up Ukraine’s financial mess. “Although our domestic situation isn’t appropriate for the visits, if I, relatively speaking, cancel these visits, the state’s economy will suffer,” Yanukovych said on Ukrainian television Monday evening. Concerns over protests in Kiev sent the cost of insuring against a debt default soaring higher on Tuesday, the Financial Times reports. The yield on the government’s benchmark bond maturing in September 2020 rose to 10.87 percent, with the yield on its bond maturing in June 2014 going up more than 16 percent from Monday’s close, according to Bloomberg. During the three-day visit, Ukraine will sign a number of economic cooperation agreements, including possible investment deals. Yanukovych may be chasing a “Chinese solution” to temporarily prevent an economic rupture at home. The government faces $15.3 billion in maturing loans that will further deplete the Central Bank's currency reserves. As of October 31, Ukraine’s international reserves dropped to $20.6 billion, according to Bloomberg data. The Central Bank intervening to repay debts will threaten the financial stability and the value of the grivnya, Ukraine’s currency. "We continue to believe that large-scale financial assistance from either Russia or China is not likely to be forthcoming and that a key short-term risk stems from a possible acceleration in capital outflows," Goldman Sachs wrote in a December 3 note. Beijing has already given Ukraine $10 billion worth of loans, Reuters reported, citing Volodymyr Fesenko of Ukraine’s Penta think-tank. Ukraine’s Finance Minister Yuri Kolobov reassured investors that the country is a “reliable borrower” with a “flawless record of meeting all its obligations on time” he said on Ukrainian state television Tuesday, urging everyone to “remain confident” in the banking system. Ukraine’s first Deputy Prime Minister Sergey Arbuzov, who took an official trip to China last September, confirmed Ukraine is interested in attracting new investment from China. In September, the South China Morning Post reported China’s Xinjiang Production and Construction Corporation (XPCC) plans to lease 5 percent of Ukraine’s total landmass to grow crops and farm pigs on a 50-year lease. Food demand in China is expected to grow along with industrialization, and China has been land-grabbing across the globe, with 7.4 million acres (3 million hectares) in Ukraine being the most recent. 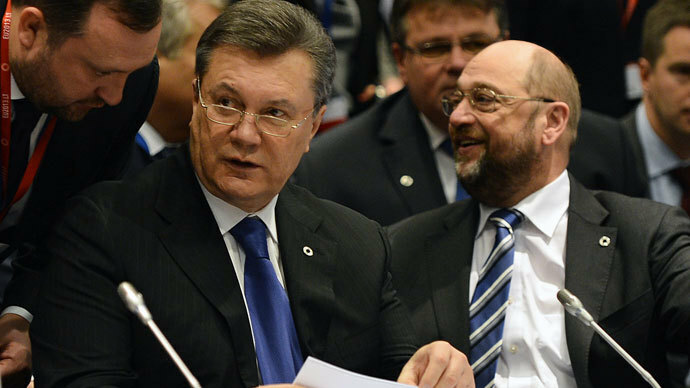 The news caught ministers in Kiev by surprise, who knew nothing of the deal. Ukraine lifted a ban on foreigners buying land last year. The next destination for President Viktor Yanukovych will be the country’s closest ally, Russia, where the countries hope to normalize “the roadmap of cooperation, which will imply normal trade and economic regime," Prime Minister Nikolay Azarov said. Russia is Ukraine’s main source of energy, loans and trade, with Russia importing nearly 25 percent of Ukraine’s export goods. On Tuesday Gazprom, who has been demanding Ukraine hand over more than $1 billion in late gas payments immediately, has extended the deadline for Ukraine's state-run Naftogaz until spring, Interfax reported Naftogaz chief Yevhen Bakulin as saying. "We have agreed to shift our payments for October, November and December to next spring," Bakulin said. Although Russia has repeatedly warned Kiev it will end trade benefits in case it signs a trade association deal with the EU, Ukraine remains caught between Russia and the EU. Ukraine will send delegations to both the EU and Moscow “to restore trade economic relations,” Azarov said Tuesday. If Yanukovych loses power to the opposition at home, the deal from Russia could be off the table, according to a December 2 note from Goldman Sachs. “We think that Russia is unlikely to extend substantial help without guarantees. 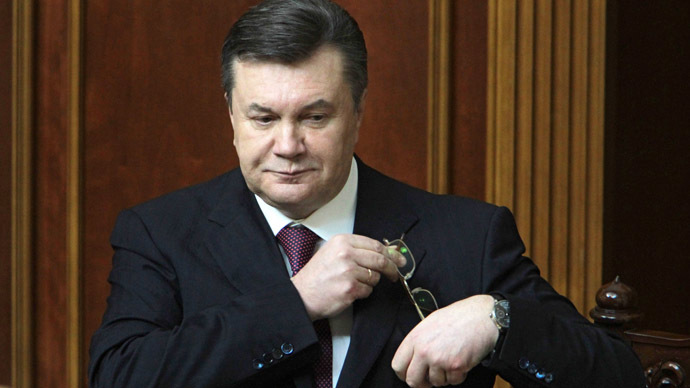 Given that it appears that President Yanukovych's chances of holding on to power beyond the 2015 spring election have decreased following the protests and schisms in his administration might even weaken his powers earlier,” the note said. Alexander Razuvaev, Research Director at Alpari Forex Group, is confident Ukraine will get the money from either the EU, the IMF or Russia, and won’t default or turn to China. “It is clear that Ukraine cannot pay off its debts on its own, and the probability of a sovereign default is relatively high. However, in my opinion, in any scenario, it will not default. It will either receive aid from the EU, IMF, or Russia,” Business FM online reports. 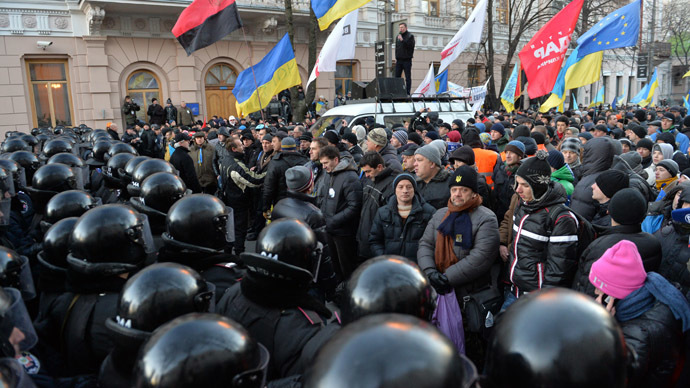 Prime Minister Azarov remained in Kiev where his ruling party survived a vote of no confidence by opposition parliament members following the biggest street protests since the Orange Revolution in 2004. Only 186 MPs voted for the motion, well short of the simple majority of 226 needed for it to pass. Thousands of activists and police clashed outside. “Afterwards the president will visit Russia, where we also plan to sign and formalize ‘the road map of cooperation,’ which will imply the establishment of a normal trade and economic regime," Azarov said. At the emergency vote in Kiev, Azarov said he plans to send a delegation to Brussels next week to work on further EU trade negotiations and economic aid conditions for Ukraine to sign an Association Agreement with the EU.